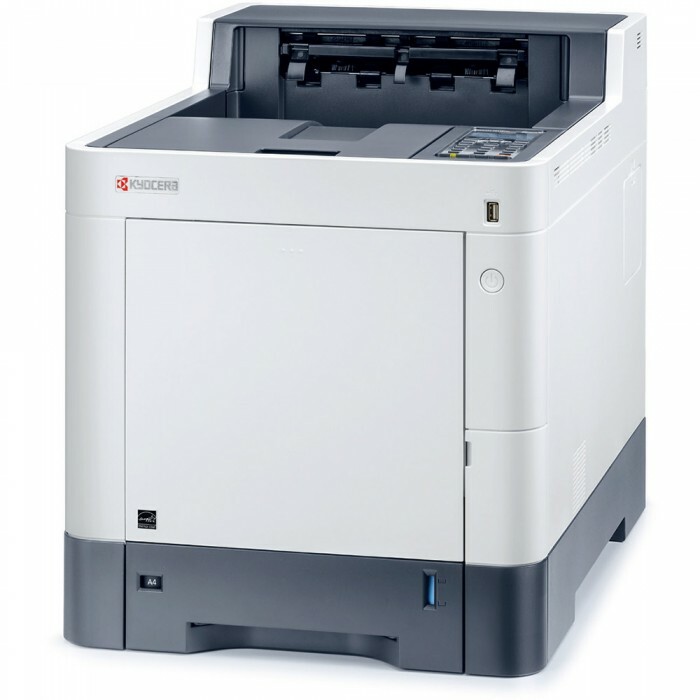 The ECOSYS P6235cdn, Color A4 (up to 8.5” x 14”) printer, combines impressive performance, at speeds up to 37 ppm, with advanced features, all in a compact footprint. This robust print solution offers a large paper capacity, up to 2,100 Sheets, standard duplex, exceptional print quality, with true 1200 x 1200 dpi print resolution and On-The-Go mobile print capability. The ECOSYS P6235cdn, with long life consumables, boasting a 200,000 image PM cycle, is the affordable smart choice to drive your business to the next level.